Add luxury to your home with the Buckingham Chesterfield Club Chair. Traditionally designed with buttoned detailing, fine-tune to suit any room by choosing from our extensive range of leather styles and colours. 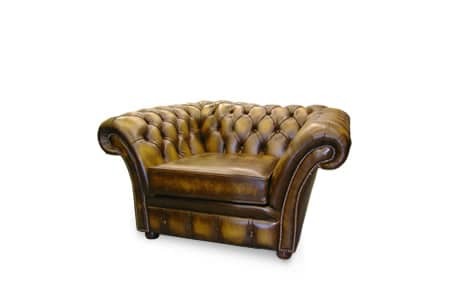 The Buckingham leather chair is finished with wooden bun feet on the cushioned option or with long leg and brass castor on the buttoned seat option.